Miah Detjen, film production junior, didn’t consider the video she made last fall for a personal documentary class to be an award winner. “When I first made it, I didn’t think much about it. It ended up turning into something bigger,” she said. However, her initial inklings about the film entitled “Daddy” would be proven wrong when it was chosen as the best non-fiction video in MSUM’s 2012 juried exhibition. This September, her film again showed its true merit when it was chosen as the official selection of the South Dakota Film Festival. The awards didn’t stop there. 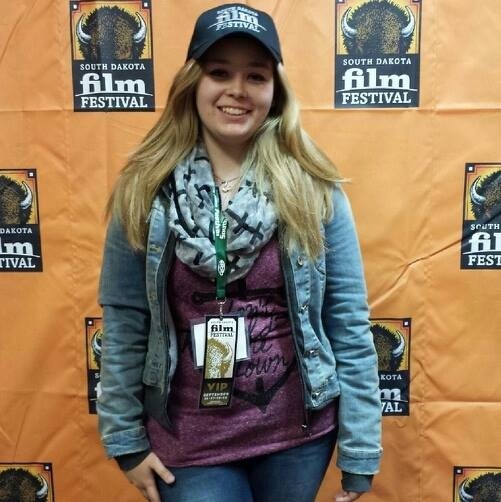 After her promising showing at the South Dakota Film Festival, some of Detjen’s professors encouraged her to submit her film to the My Hero International Film Festival. Just before fall break, Detjen received an email informing her that she was a finalist in the competition. Detjen and her parents flew out to California on Friday to attend the film festival and meet the other finalists. The screening and other events were held at the University of Southern California. Going to California is not just a vacation for Detjen. She has relatives living in the state and will be visiting them. Detjen said none of her relatives in California have seen her film yet, so she is excited for them to attend the screening. Whether or not Detjen will be watching the film with everyone is a different story. When her film was screened in South Dakota, she initially sat down to watch it with the audience. Just before it began, she ducked out and ended up listening to the movie from outside the theater. “I was nervous about seeing it because it is so personal and close. I wouldn’t be able to survive through the whole movie. It’s too emotional,” Detjen said. Also on the itinerary for her trip is a visit to the Los Angeles Film Study Center where Detjen will be studying next semester. She plans to check out the campus and “figure out where to go, and where not to go.” She also has an internship in the area as well. “It’s kind of a multitasking trip,” she said. Detjen said choosing to make the film about her father was an easy decision. The assignment was to “create a film of us relating to something important, like a place or thing,” she explained. Detjen’s film is unique because it is silent and all in sign language. The entire video is close captioned to make it accessible to both a hearing and deaf audience. This aspect fits with her video perfectly because it centers around what it was like for her to grow up hearing but live with a deaf father. In the video she explains in sign language that she feels as if she is caught between two worlds, and she is not sure which one she is in sometimes. Part of her video was filmed during a sign language class. Her father is a teacher of the language in her hometown, and Detjen commented on how much fun it was to film the class. She mentioned how excited the students were to be on camera. Even more important was her father’s opinion. Detjen said he was impressed and surprised at what she had created, and that he enjoys watching it and the attention it brings to his daughter, himself and the daily connections and collisions between the hearing and the deaf. The My Hero International Film Festival has been going on since 1995. There are a multitude of different categories, including some animation shorts, documentaries, music videos and public safety announcements. Winning entries of the festival are collected and put on to a DVD for schools and teachers to use as educational tools. Anyone wishing to view Detjen’s film, the other finalist’s subissions or past winners can go to myhero.com.